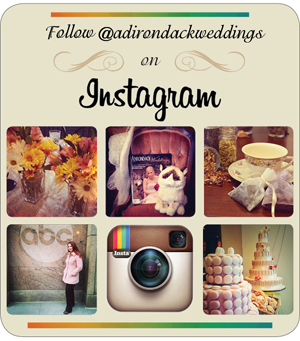 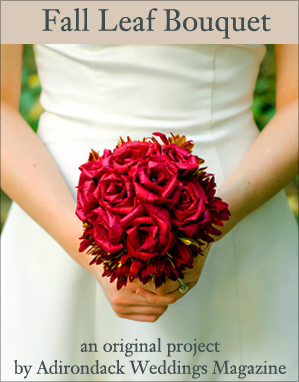 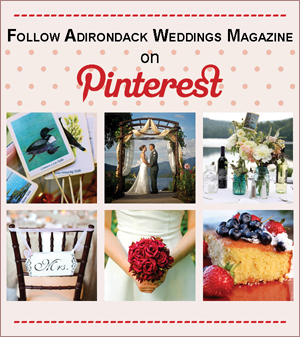 The fourth installment of Adirondack Weddings Magazine is on newsstands! 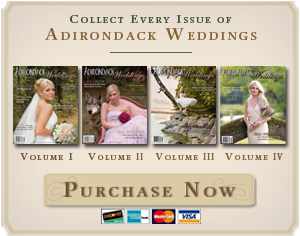 Look for it at hundreds of independent and chain retailers (here’s a partial list) or buy it online. 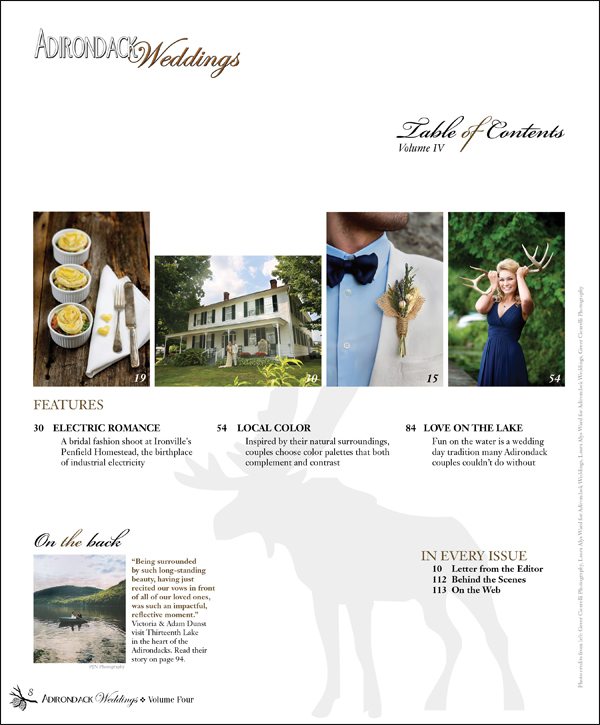 Scroll down for a look at the table of contents pages and a sneak peek at what’s inside! 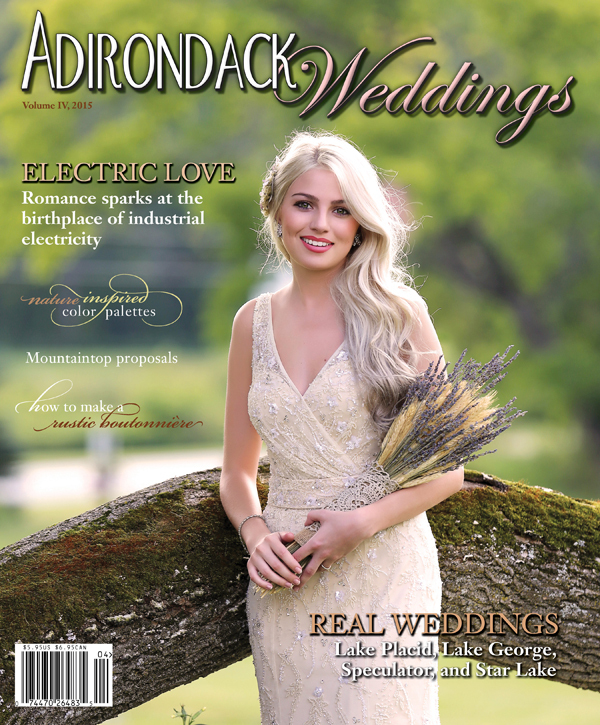 Ashley Drosdowich of Saranac Lake rests against a tree at the Penfield Museum in Essex County, the site of the first use of electricity in industry. 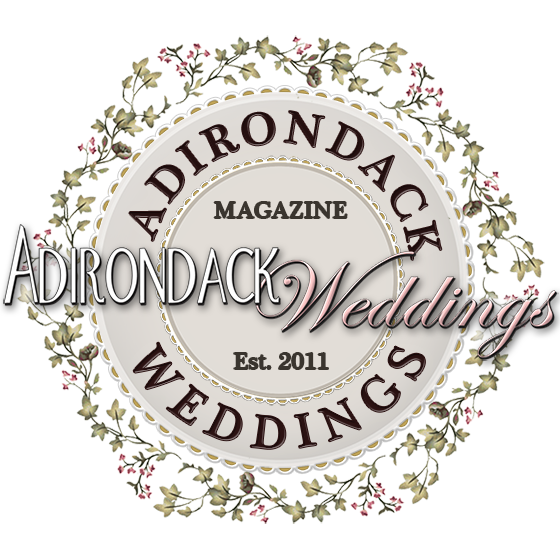 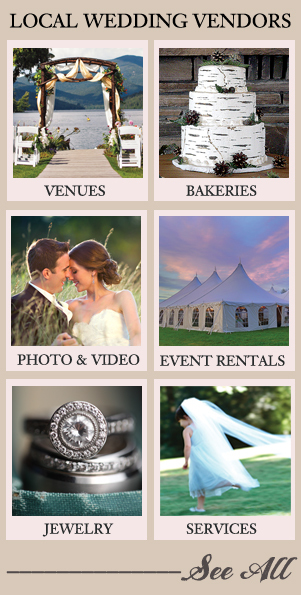 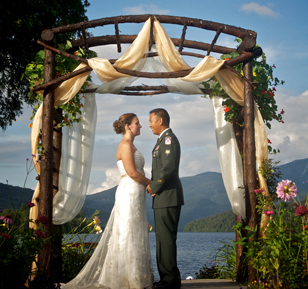 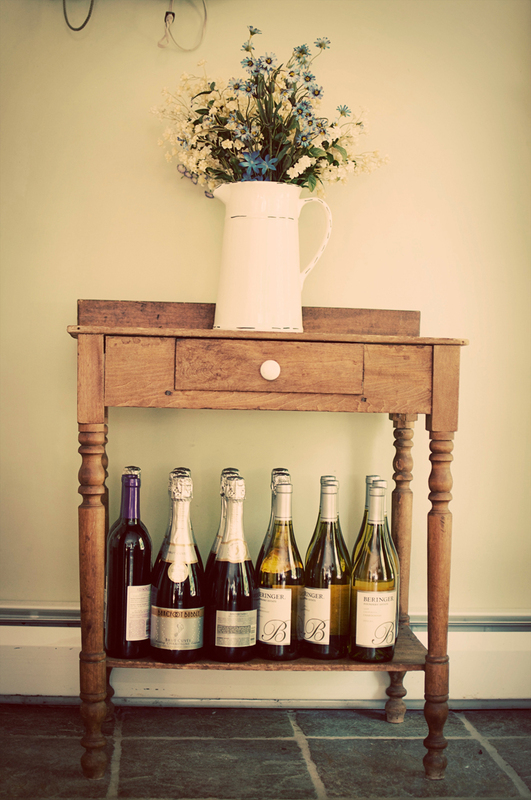 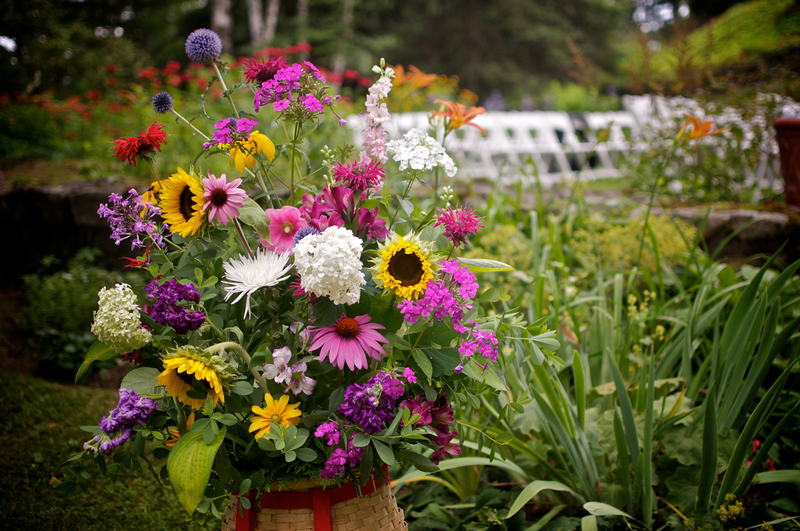 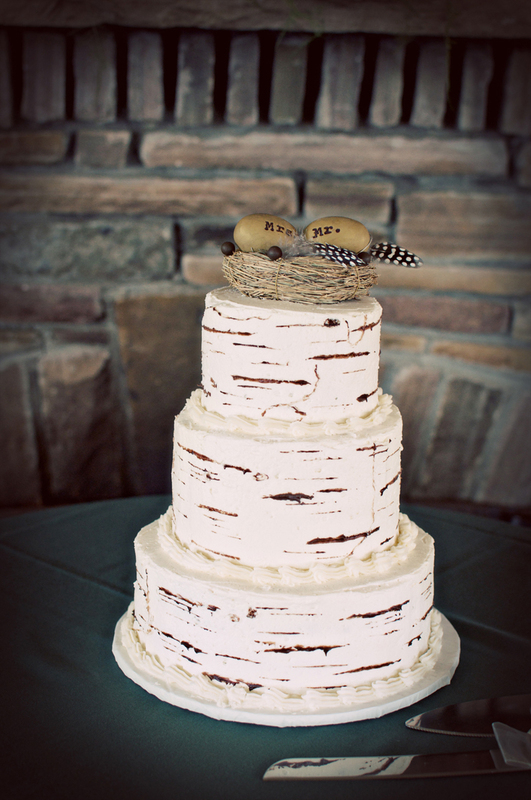 Read the story on page 30 of Adirondack Weddings! 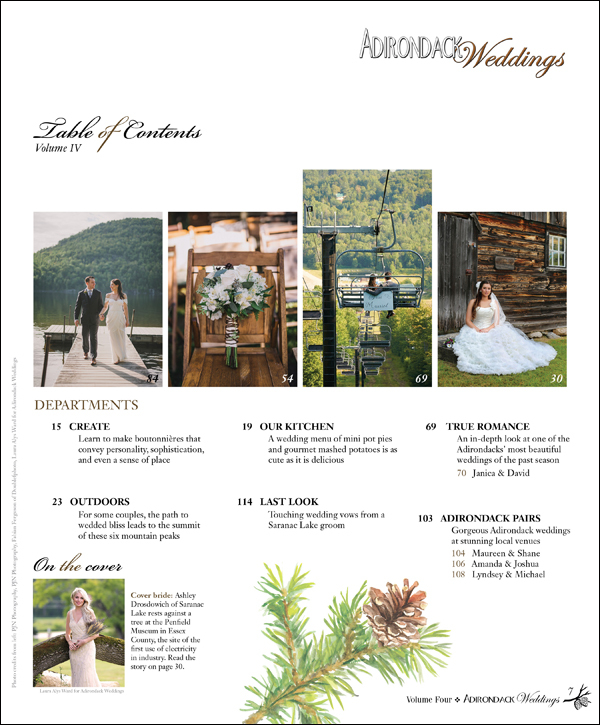 Here’s what you’ll find inside Volume Four, our 2015 issue. 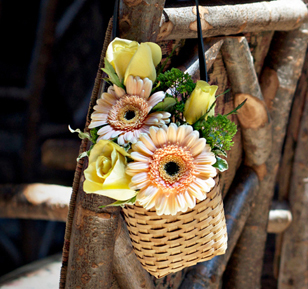 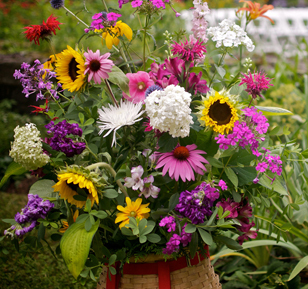 Learn to make boutonnières that convey personality, sophistication, and even a sense of place. 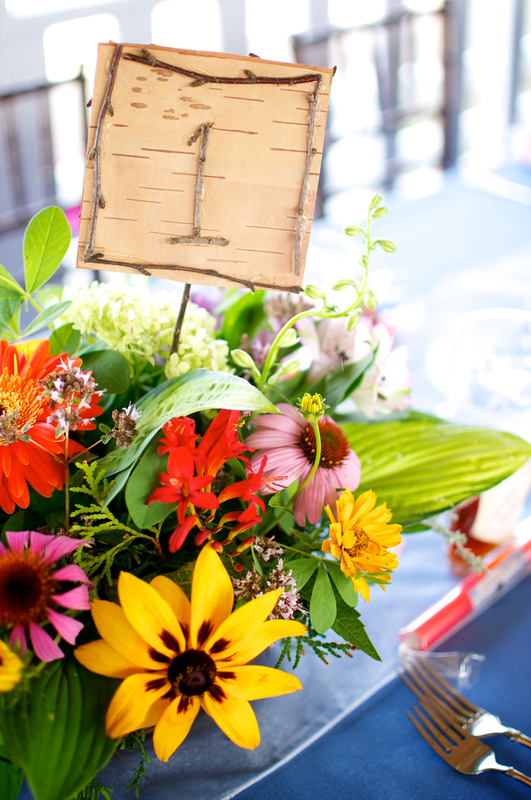 A wedding menu of mini pot pies and gourmet mashed potatoes is as cute as it is delicious. 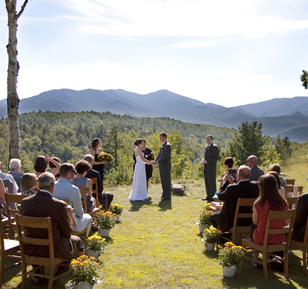 For some couples, the path to wedded bliss leads to the summit of these six mountain peaks. 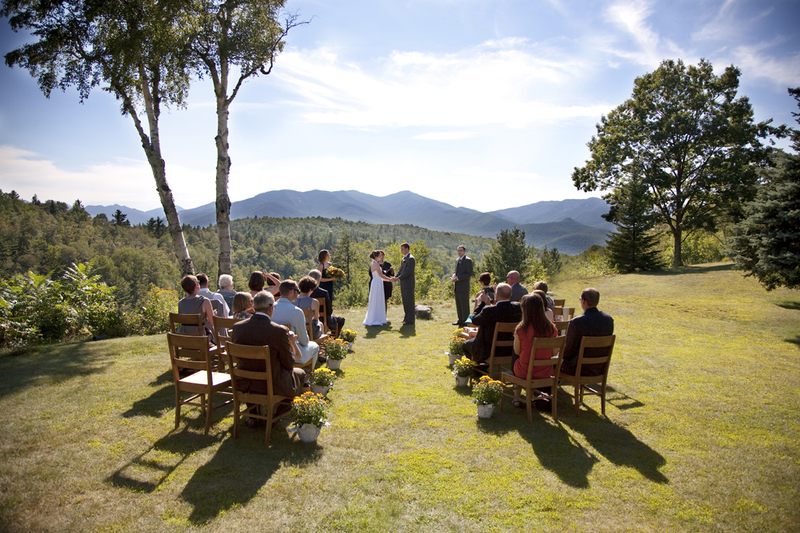 Touching wedding vows from a Saranac Lake groom. 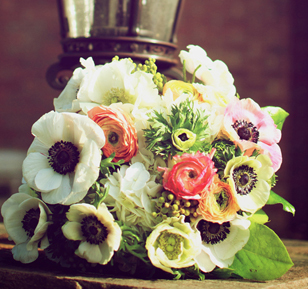 A bridal fashion shoot at Ironville’s Penfield Homestead, the birthplace of industrial electricity. 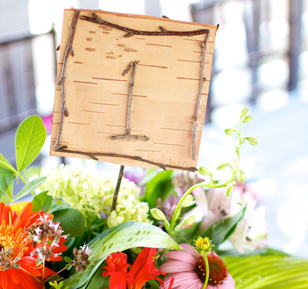 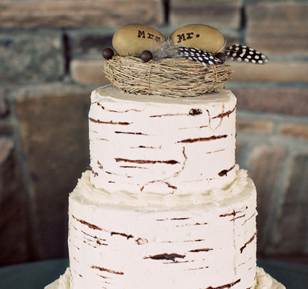 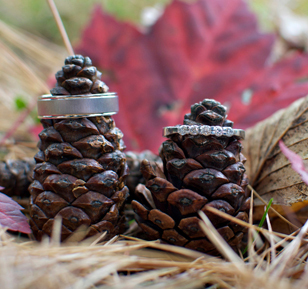 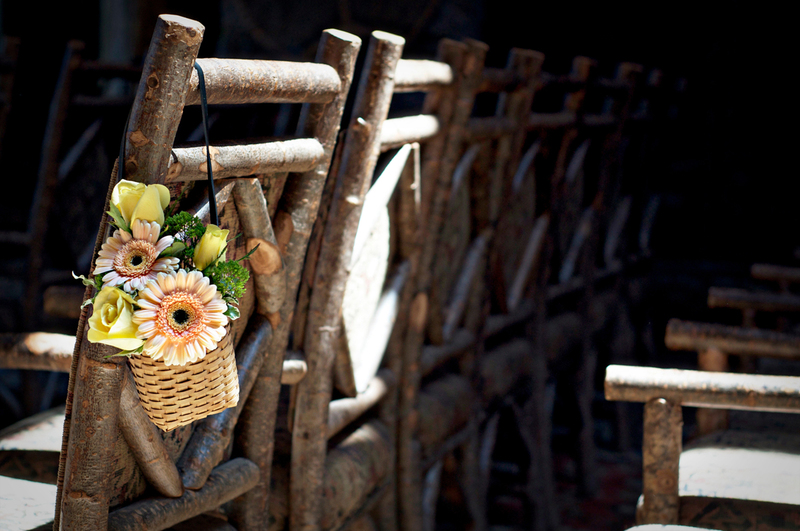 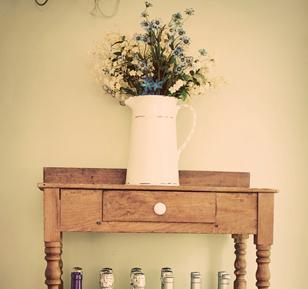 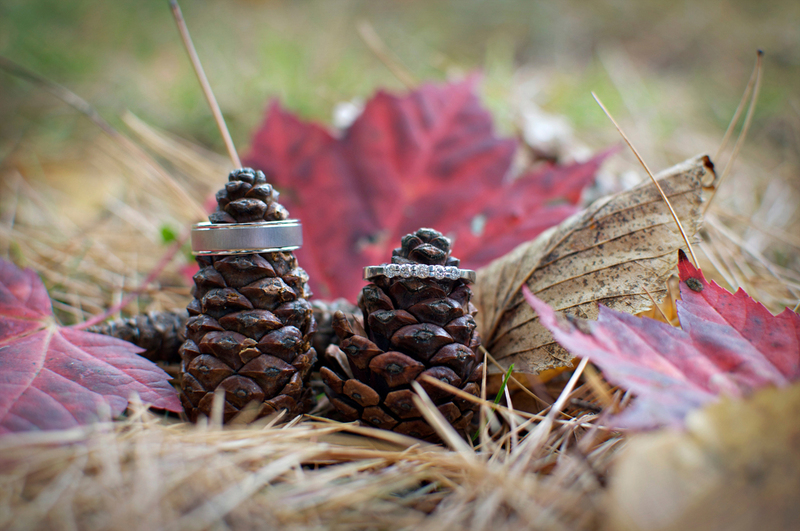 Inspired by their natural surroundings, couples choose color palettes that both complement and contrast. 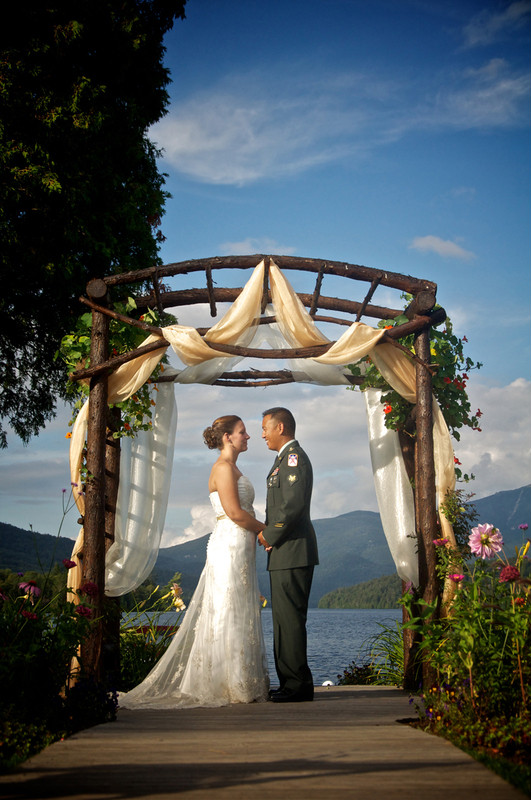 Fun on the water is a wedding day tradition many Adirondack couples couldn’t do without.